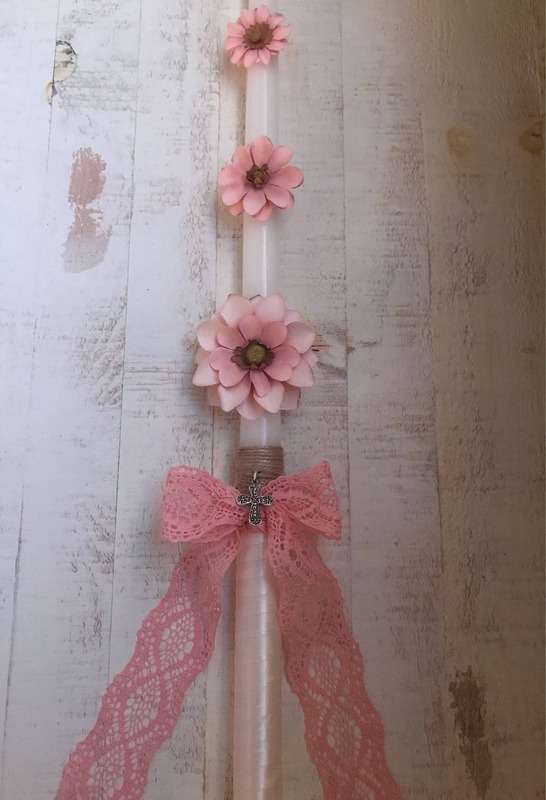 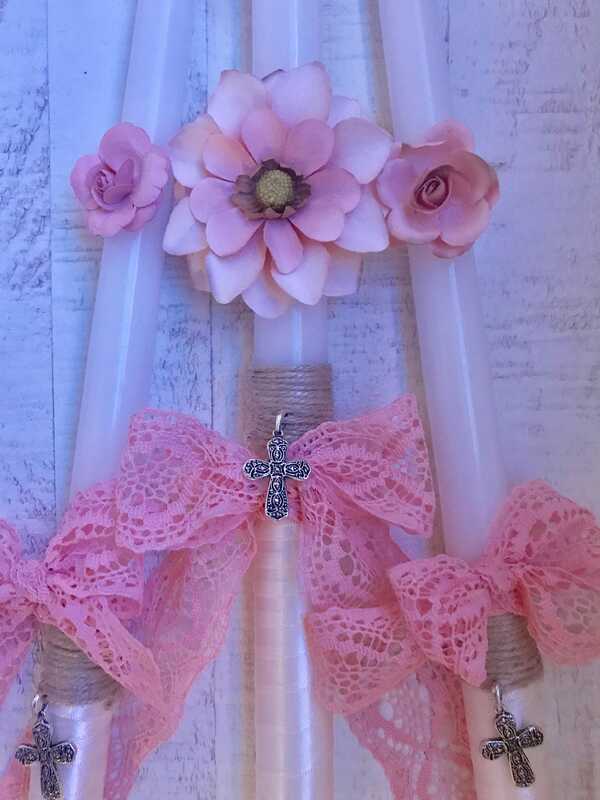 Christian Orthodox Baptism Candles that have a touch of precious blushing flowers, nature, the outdoors and a bit rustic. 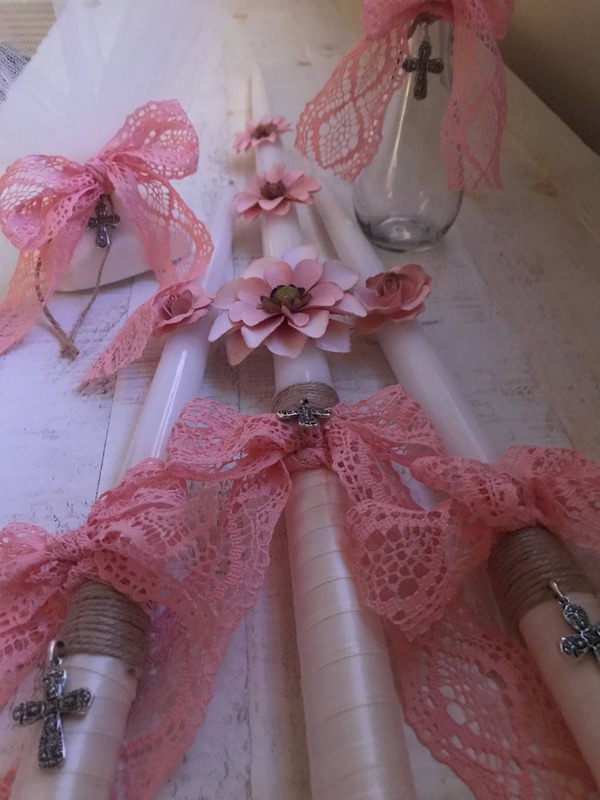 One 24" white taper candle wrapped delicately with ivory double sided satin ribbon, beige twine beautifully decorated with a cross, draped with a rose lace bow and precious blushing flowers. 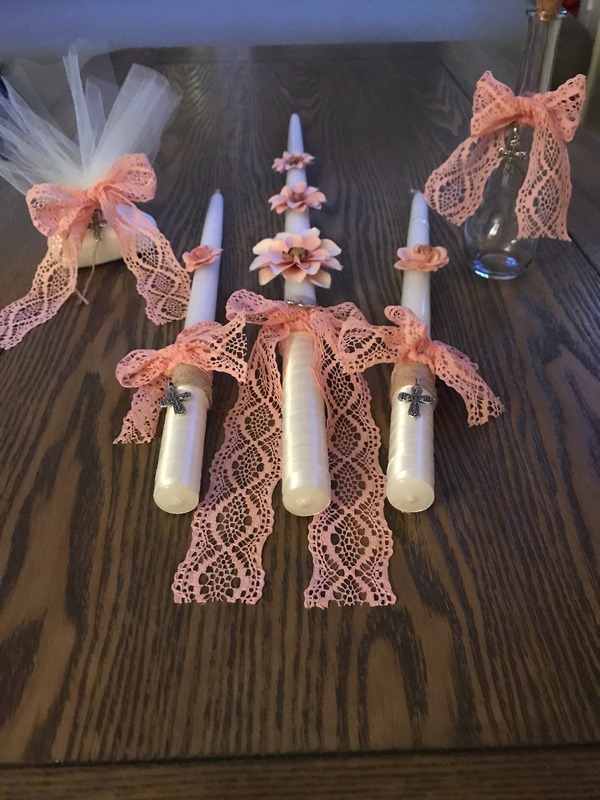 Two 15" or 18" white taper candles wrapped delicately with ivory double sided satin ribbon, beige twine beautifully decorated with a cross, draped with a rose lace bow and precious blushing flowers. 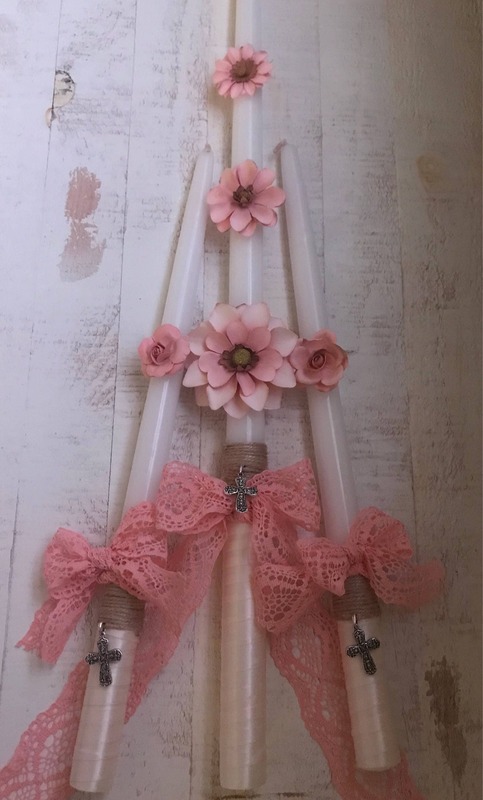 *I wrap the handles with ribbon to avoid melting from the warmth of ones hand after holding the candle for an extended period of time. 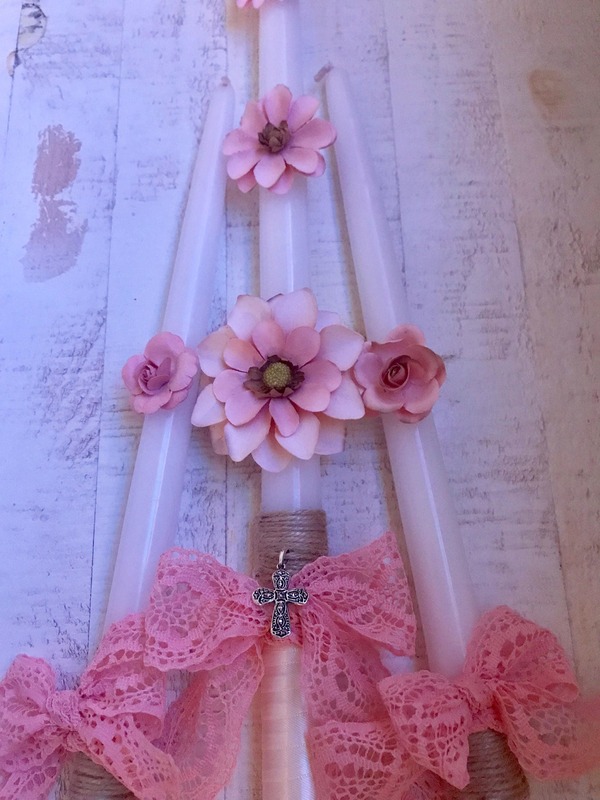 *Matching oil bottle & soap (unscented dove) beautifully decorated to blend in with the candles for additional 35.00. 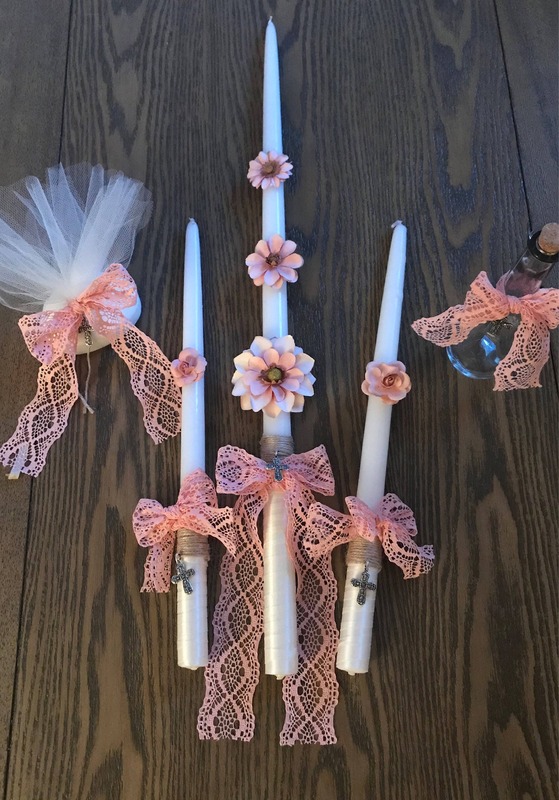 See further listings for pricing - available separately as well as a set.